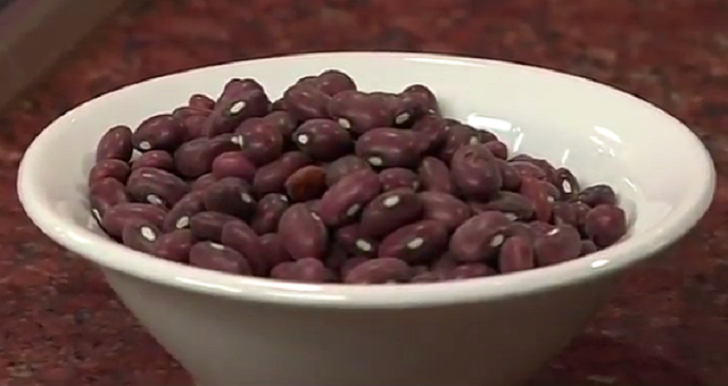 Kidney beans are a very popular legume because of its great taste, texture, and flavor. They are dark red in color and are kidney-shaped. All dry beans are an excellent source of dietary fiber. The same is true of red beans, which provide about 7 to 8 grams per ¹/₂-cup serving, depending on the variety. They're a rich source of insoluble fiber -- found mainly in the bean’s skins -- which promotes digestive health and bowel regularity. It sweeps material through your digestive tract more efficiently and adds bulk to stool, both of which help prevent constipation. Beans are rich in soluble fiber, too, which mixes with water to form a gel-like substance in your gut. Gut bacteria metabolize the soluble fiber, converting it into short-chain fatty acids. The cells in your colon use these fatty acids for energy. Red beans, like all beans and legumes, also contain resistant starch, a type of complex carbohydrate that acts like dietary fiber in that it “resists” digestion. Like soluble fiber, it contributes to digestive health by feeding the beneficial bacteria living in your colon, which helps maintain colon health. Red beans support heart health in a variety of ways. Because they’re a low-fat, cholesterol-free source of high-quality plant protein, you’ll get roughly 8 grams of protein per ¹/₂-cup serving of red beans. Opting for beans over meat a few times a week can help you significantly reduce your intake of saturated fat, the kind that contributes to high cholesterol. In addition, the soluble fiber in red beans helps normalize unhealthy cholesterol levels. Red beans contain all three of the minerals that are key to controlling blood pressure -- calcium, magnesium, and potassium. Adzuki beans are especially mineral-rich, providing 32 milligrams of calcium, 60 milligrams of magnesium and just over 600 milligrams of potassium per 1/2-cup serving. In addition to benefiting your heart, getting enough of these minerals in your diet can also help you avoid muscle cramps. The high folate content in red beans -- you’ll get somewhere in the range of 115 to 140 micrograms of folate from a ¹/₂ cup of red beans, depending on the variety -- is another way in which they protect cardiovascular health. Getting enough folate helps lower blood homocysteine levels; having high homocysteine levels are associated with an increased risk of heart disease. Like all legumes, red beans are an ideal component of any weight management diet, whether to promote weight loss or prevent weight gain. Their high-protein content makes red beans more satiating, meaning you’re more likely to feel fuller longer after eating them. Combined with resistance training exercises, eating protein-rich foods while trying to lose weight can also help you preserve or build lean tissue, which, in turn, can keep your metabolism humming. Dietary fiber further boosts red beans’ powers to satiate, but without contributing many calories. Resistant starch plays a similar role. According to the Harvard T.H. Chan School of Public Health, the resistant starch in legumes contributes to the food’s satiety factor. Most foods that support cardiovascular health and help manage body weight are effective in protecting against type 2 diabetes, and the same holds true for red beans. This effect is largely due to their high dietary fiber and resistant starch content, both of which help control both how fast food is broken down and how quickly nutrients are absorbed for use. The fiber in red beans slows the rate at which glucose is released into your bloodstream, which helps prevent insulin spikes that lead to type 2 diabetes. People who eat a high-fiber diet are significantly less likely to develop type 2 diabetes as those whose diets are low in fiber, according to a 2004 study published in the American Society for Clinical Nutrition. Like dietary fiber, resistant starch helps slow the rate at which glucose is released. It also goes a step further by decreasing the total amount of glucose that enters your bloodstream. Red beans may help protect against cancer in a number of ways. As a high-fiber food, red beans could help prevent breast cancer -- a 2016 study led by Harvard researchers and published in the journal Pediatrics found that women who consume a fiber-rich diet during adolescence and early adulthood may have a significantly lower risk of developing breast cancer later in life. Red beans are also rich in antioxidants, which help inhibit the type of free-radical damage that may eventually lead to cancer. Red beans have a fairly high Oxygen Radical Absorption Capacity, or ORAC, score, which means that the antioxidants they contain are relatively effective against free-radical damage. According to the U.S. Department of Agriculture’s 2010 ORAC report, red kidney beans have an ORAC score five times higher than navy beans and about 10 times higher than garbanzo beans.